Building a backlog of customer information is something many successfully businesses have been doing long before they ever realized it could be used for more than keeping track of orders and interactions. What used to be a protocol for quality assurance purposes is now used in combination with millions of other records to predict problems, purchase timing, and customer preferences. 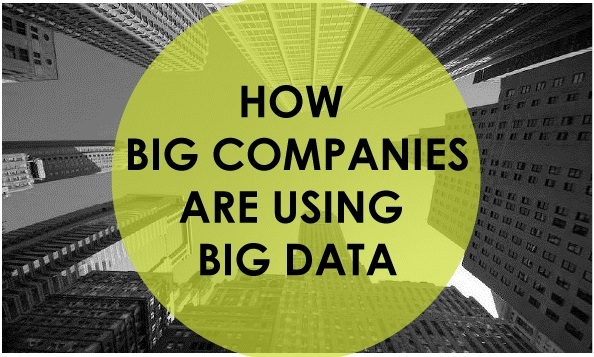 With the help of this awesome Big Data Snapshot, we have gathered the top three ways companies are leveraging their Big Data. Predictive Support– Not to be confused with predictive analytics which is used by sports and finance industries to make sense of Big Data numbers, predictive support organizes data in a way that can forecast and solve problems. Big Data is used by airline and railroad industries for predictive support to uncover maintenance needs and discover patterns that can improve safety. Behavioral Analytics– If you have ever felt like an item you were looking at online has followed you throughout the internet, you were not imagining it. Analyzing customer behaviors and then serving them what they like is gaining popularity among retail, entertainment and mobile industries. Thanks to behavior analytics, Big Data can become a retailer’s crystal ball when it comes to figuring out how many times they need to throw an ad at the customer before they bite. Customer Segmentation– Another favorite approach to Big Data of retail giants and entertainment powerhouses is customer segmentation. The ability to customize ads to target specific groups of customers is a marketer’s dream and Big Data makes it come true for companies like Nordstrom and Time Warner. There are three other ways Big Data is used according to the Digital Snapshot and those are Predictive Analytics, Operational Support, and Enhanced Customer Experience. To see all of the cases in which big brands are using Big Data in rural, suburban and metropolitan areas, click here. Looking for a job in Big Data? Check out our current openings.